Adidas has released its lightest ever frames, made by 3D printing, as part of its latest sportswear range. A new production technique called digital light synthesis means the models weigh just 10 grams. 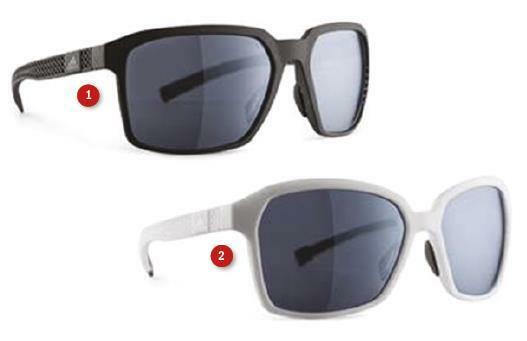 The Evolver (1) and Aspyr (2) 3D feature adjustable nose pieces, snap hinges and temple grips that deliver a flexible and comfortable fit for sports use. The temples display a diamond matrix made through the 3D printing process and Adidas’ surface treatment is resistant to temperature changes, UV rays and discolouration from sweat. Prescription ready, the frames are available in a number of lenses that reduce eye fatigue by neutralising the effects of light fluctuations and come in four different colour schemes.